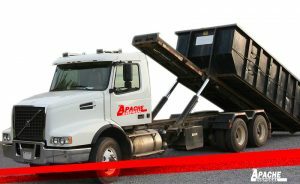 Apache Disposal Inc. is a family owned and operated waste removal business. Since 1996 we have provided residential, commercial, roll off and demolition services in the San Antonio and surrounding areas. Our team provide years of experience, you can count on us to provide you with the best waste services in the industry. Our 96 gallon waste containers (w/ wheels) are issued to residents in single family dwellings and are designed for household trash only. No batteries or hazardous materials are accepted. Containers hold approximately 4-6 kitchen size trash bags and container cannot exceed 200 lbs. Billing is done quarterly and accounts require a one (1) year service agreement. Contact our office today to confirm if we can service your area. If you're looking for waste removal services, or need a container for an event, At Apache Disposal we can provide your business with variety of sizes to best suit your needs, our first priority is supplying our clients with the equipment that they require. 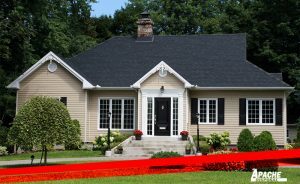 Apache Disposal offers roll off services for high volume waste removal for residential cleanup, large commercial projects as well as emergency site cleanup. Apache has a solution for all your waste removal needs and prides itself with a 24 hour turnaround schedule. Competitive pricing and customer satisfaction is Apache Disposal's foundation. Our roll off containers are ready for immediately delivery , please give us a call today and allow us an opportunity to provide your service. At Apache Disposal we Believe in local businesses. Apache is an active supporter, as well as participant in several events around the local area including; Rodeo Parade, Music Festival, Holiday Parades, and Homes for our Troops. 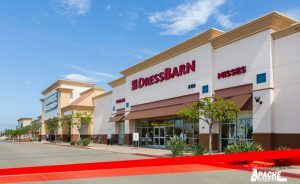 Get updated on upcoming specials and events. 2018. 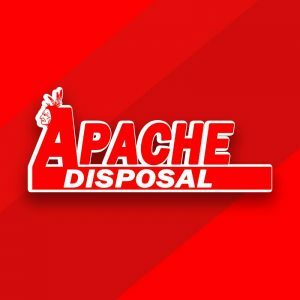 Apache Disposal.All rights reserved.